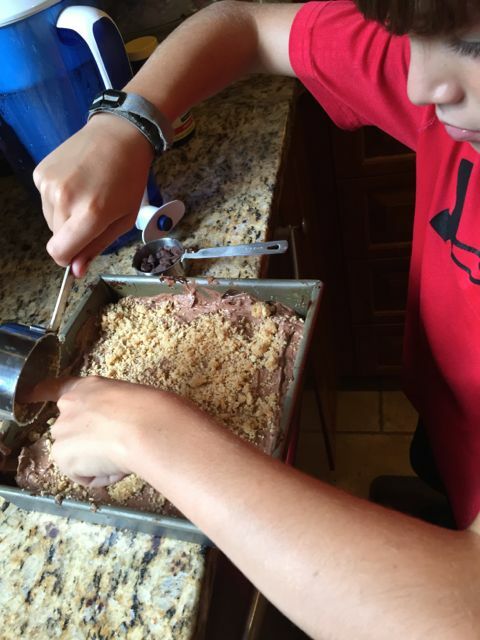 I am so proud of my 10-year-old that he was willing to try something new. 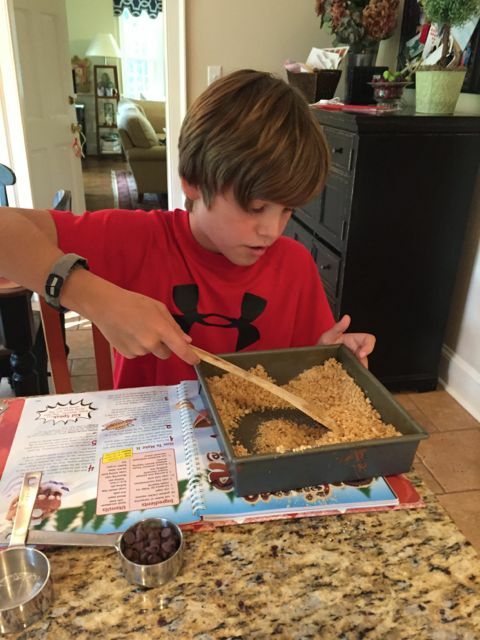 We are true believers that boys and girls, should all learn their way around a kitchen. This was the hardest part. Spreading the pudding over the marshmallows and fudge sauce. It’s really to hard people, so now you get where I am coming from. No one cares if id does not look perfect, it all tastes the same! 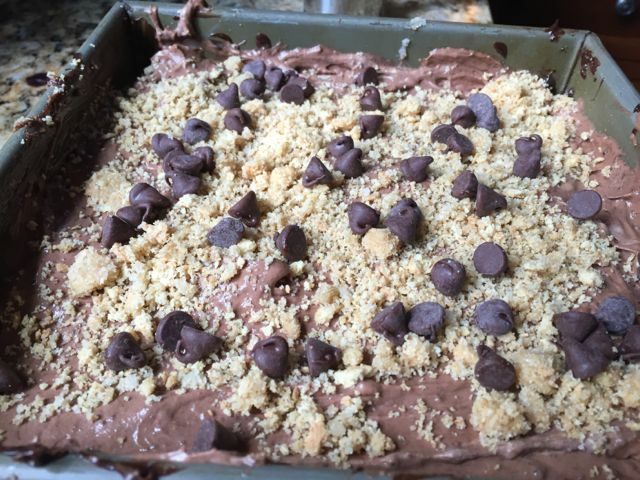 We opted not to add more marshmallows on top per the recipe, I did not think cold marshmallows would be any good and they would get hard too. It is best to allow this to sit for overnight but my son could not hold himself back. Since we were eating the dessert in a few hours, we put the dish in the freezer for a few hours to set up. This is a rich chocolate pudding dessert that has all the flavors of a s’more, just to hot. My son was so proud of his accomplishment and really that is what cooking in the kitchen is about. I hope to see more recipes coming out of him soon. Don’t forget to check out our yummy S’mores Pudding Cups too. They are perfect for a party. Put butting in a microwave safe bowl. Cover bowl with waxed paper. Microwave for 30-40 seconds until melted. Put graham crackers in a plastic bag seal the bag closed and crush the crackers with a rolling pin or use a food processor. Pour the crushed crackers in to a 8x8 baking pan and add the sugar and butter. Stir with a wooden spoon until well mixed. Take out 1/3 cup of the mixture for later. Spread the rest of the crust into the baking pan evenly. Place pan in freezer for 10 mins. Place open jar of topping in the microwave for 45 seconds or until pourable. Pour the fudge topping over the chilled crust. 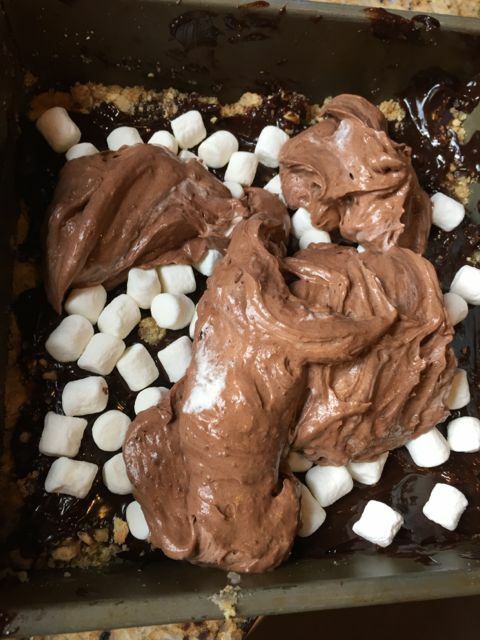 Sprinkle 1 cup of the marshmallows on top of the fudge. Mix the milk and pudding in a large bowl. Beat with an electric mixer for 2 minutes. Using a rubber scraper to gently stir in half of the whipped topping into the pudding. 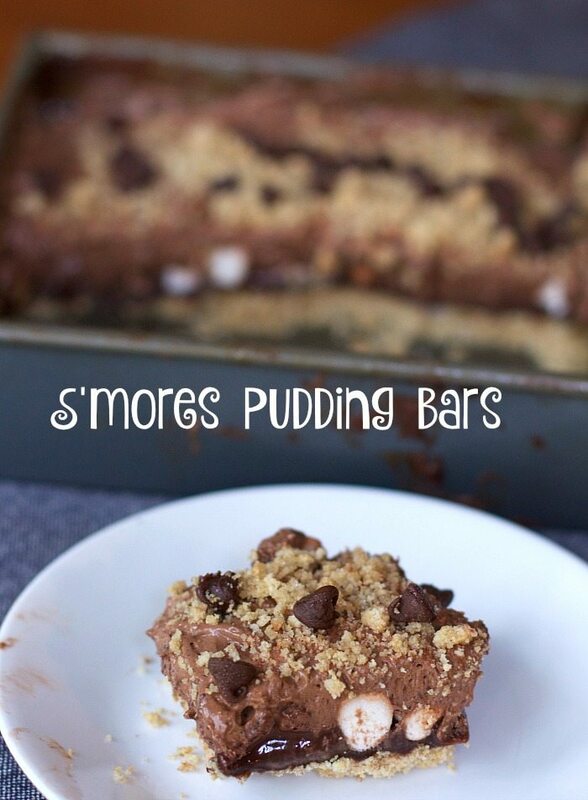 Pour the pudding on top of the marshmallows and spread the mixture evenly in the pan. Sprinkle the saved cracker mixture and chocolate chips on top. Cover with foil and put in fridge for 1-24 hours or in the freezer until firm.